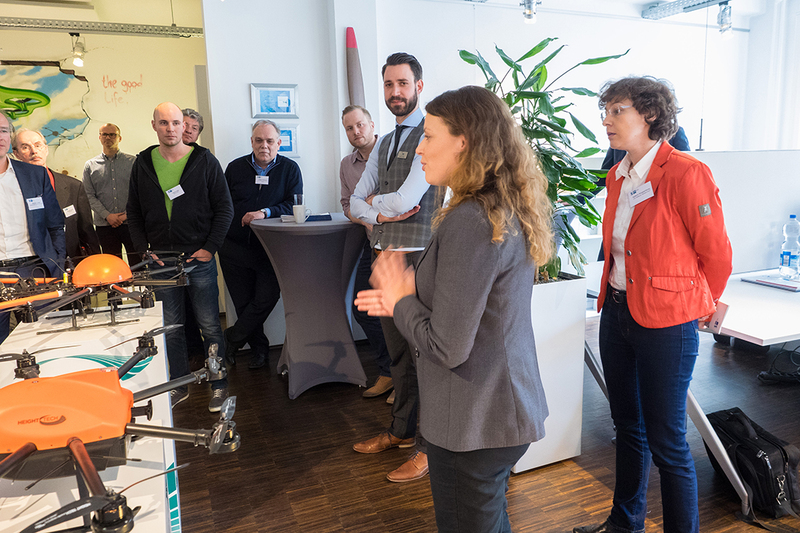 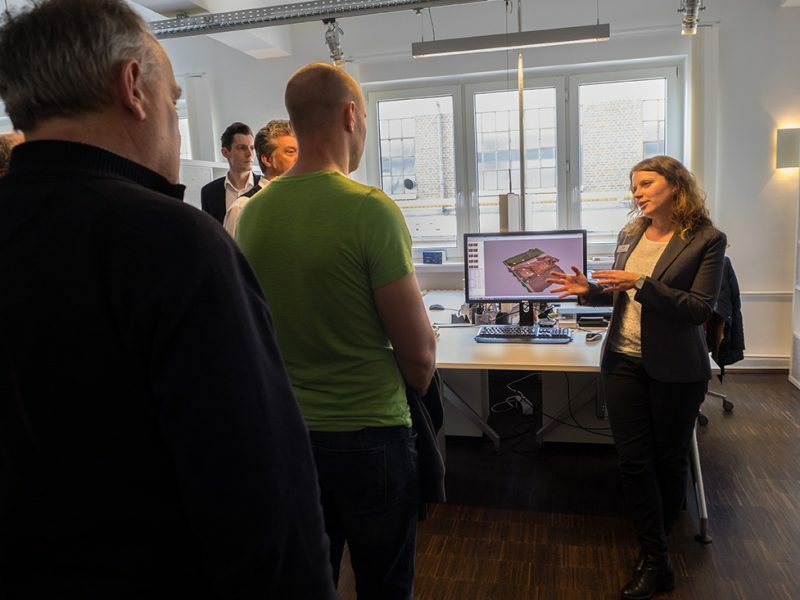 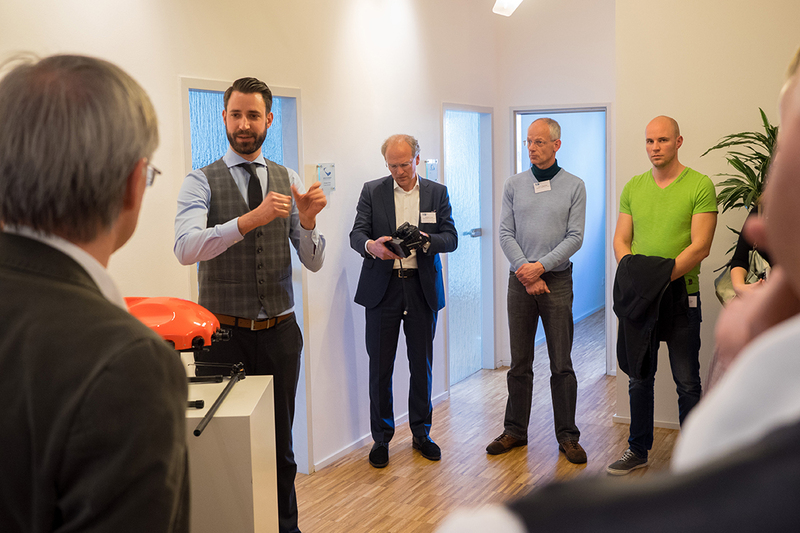 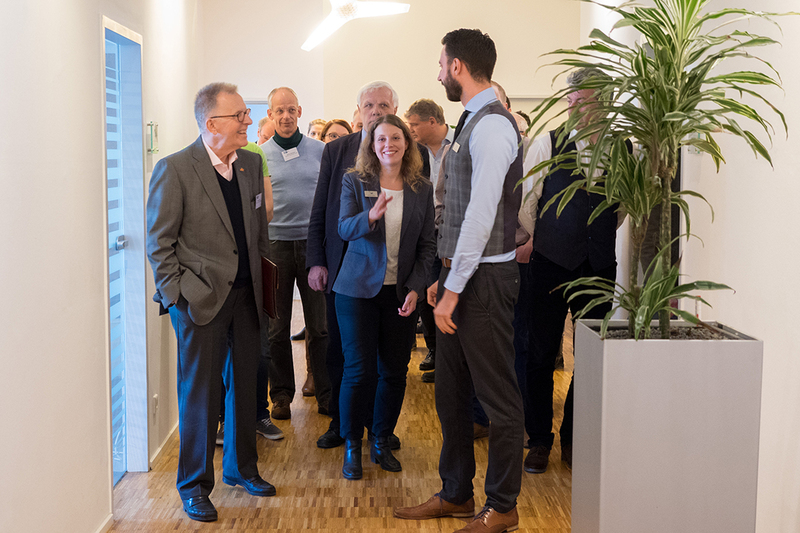 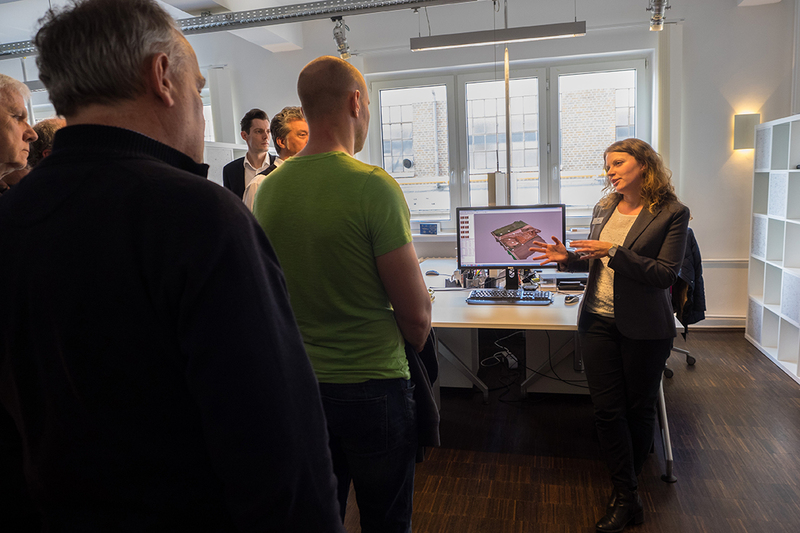 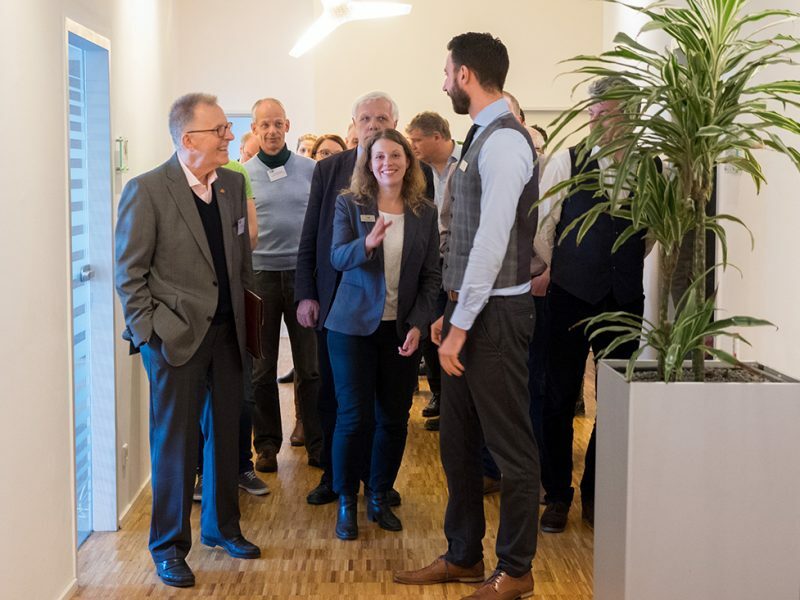 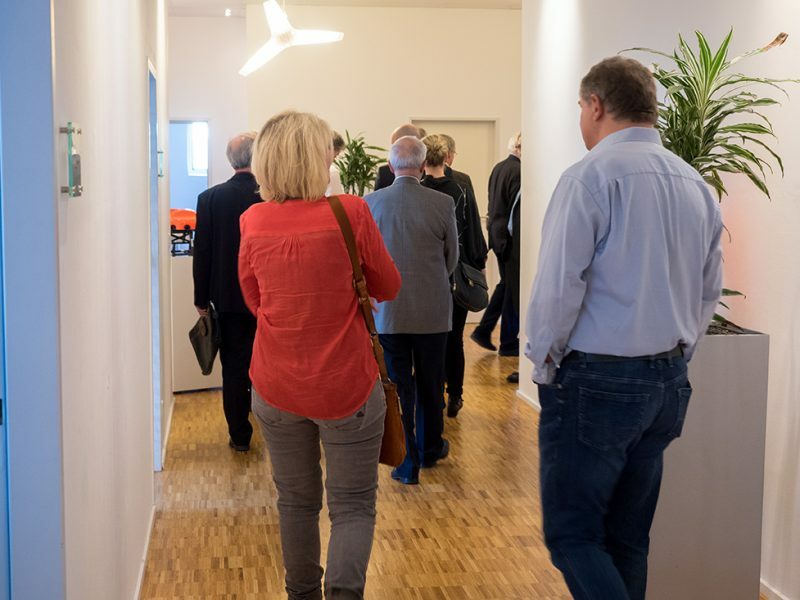 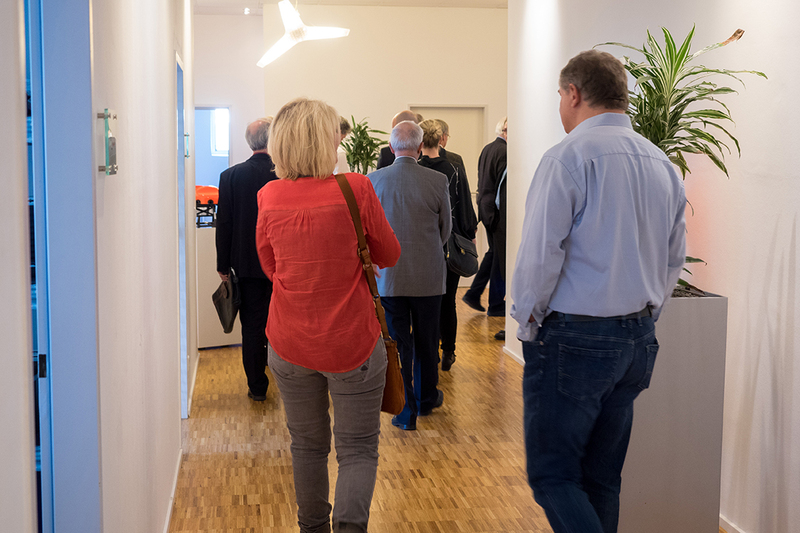 Around 30 members from Northrhine-Westphalia took part in a visit at SPECTAIR GROUP to find out the potential of drone tasks in relation to digitalization and Industry 4.0. 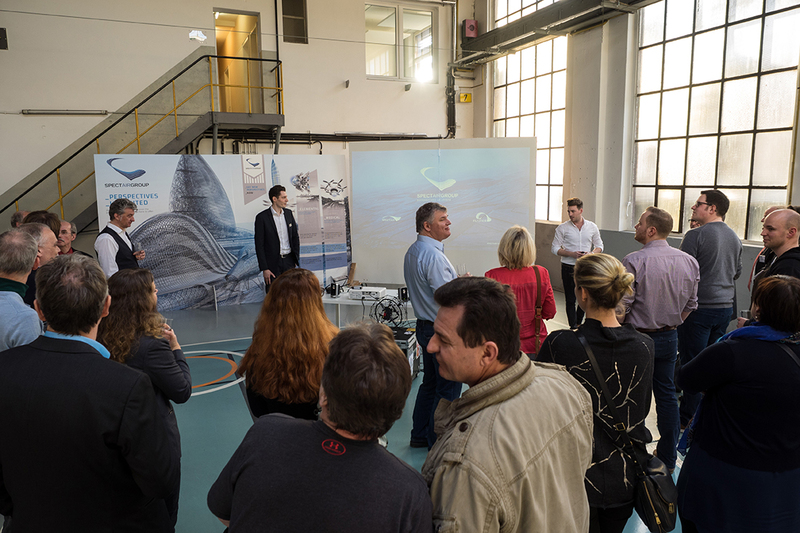 Simultaneously, the participants were able to learn more about daily jobs and tasks of each company SPECTAIR, HEIGHT TECH and FLAIRICS. 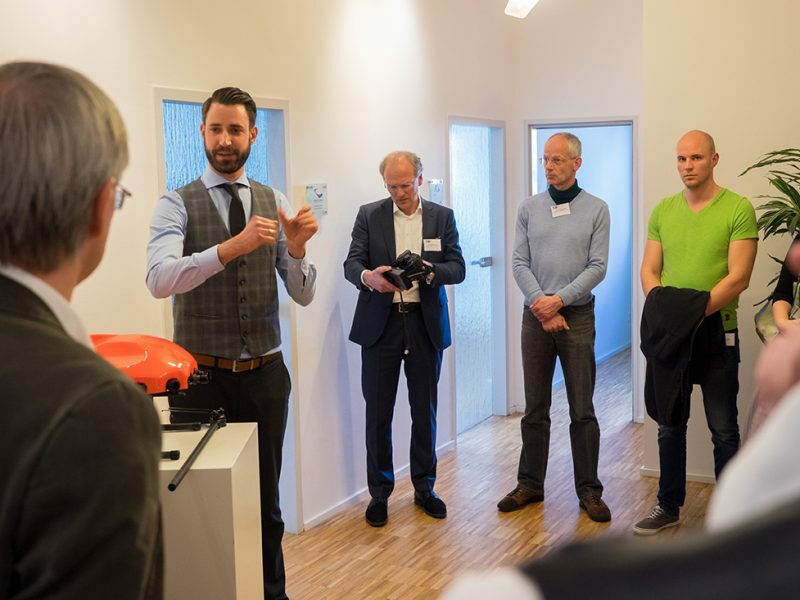 Drones of Industry 4.0 – future vision or tangibly close? 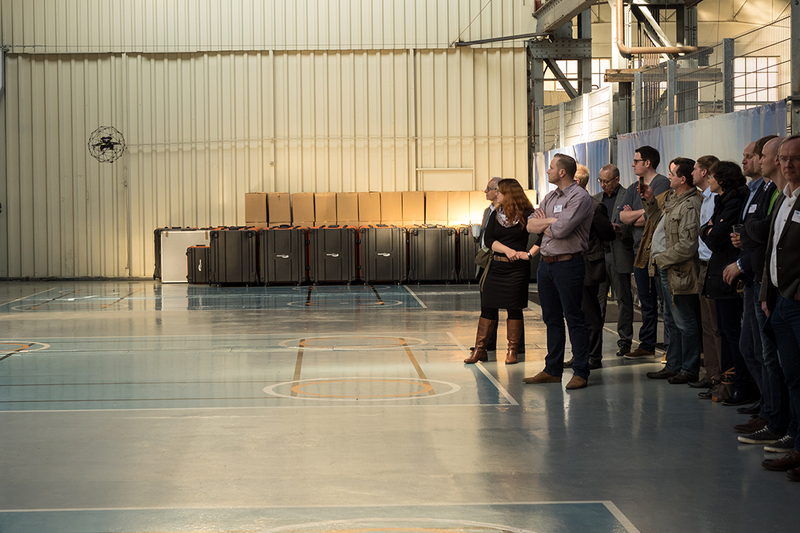 Followed by the guides tour through the companies the professionals and executives learned which influencing factors take effect on the implementation of industrial inspections and which actual conditions limit autonomous flights. 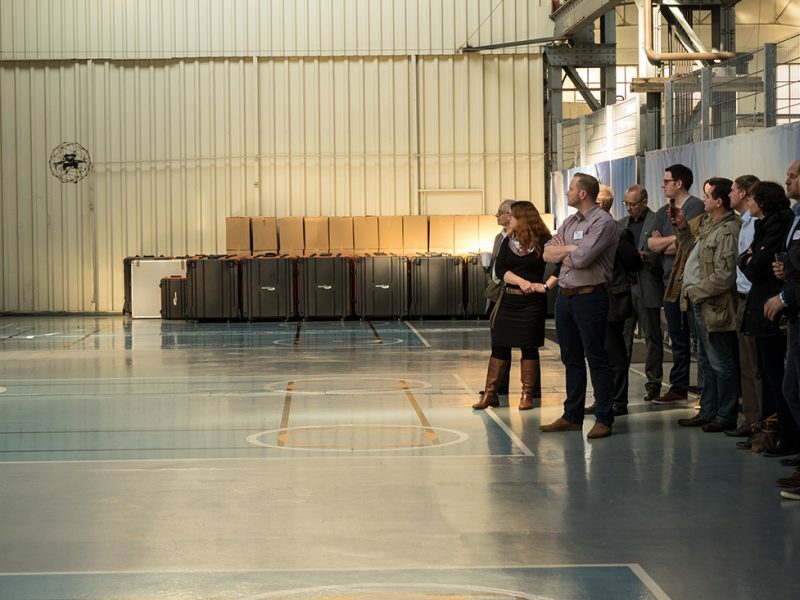 Especially for inspections of industrial plants, unmanned aerial systems move above and in the vicinity of sensitive infrastructure. 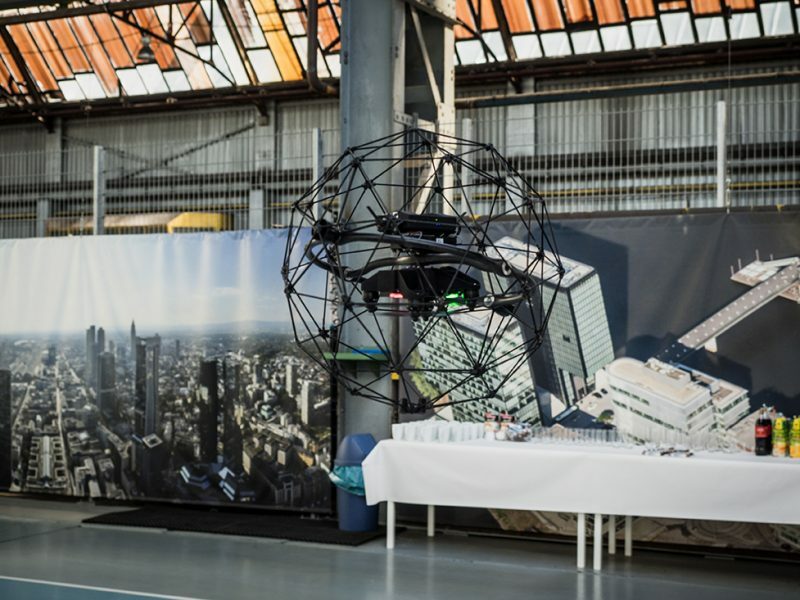 Automated flights are currently too error-prone and therefore risky. 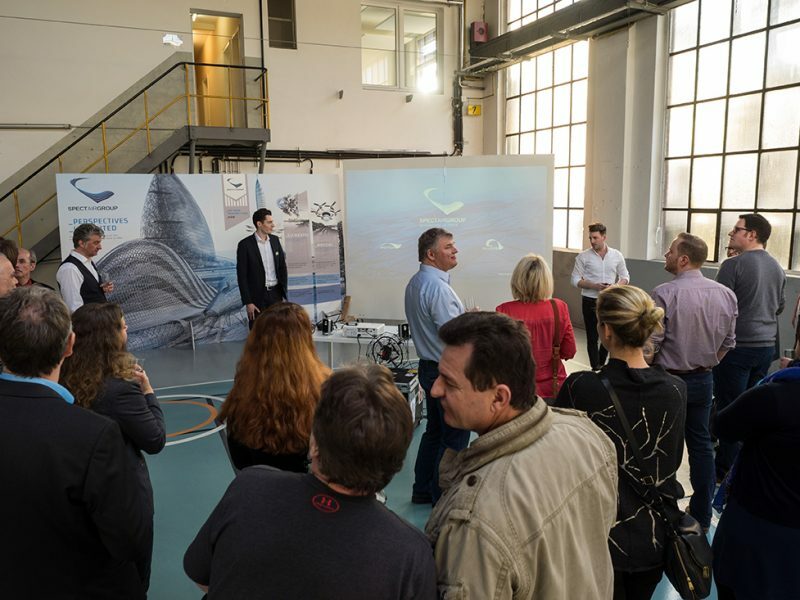 Other local factors influencing drones‘ flight behavior can also be assessed in advance by an experienced drone pilot and balanced with flying skills and technical background knowledge. 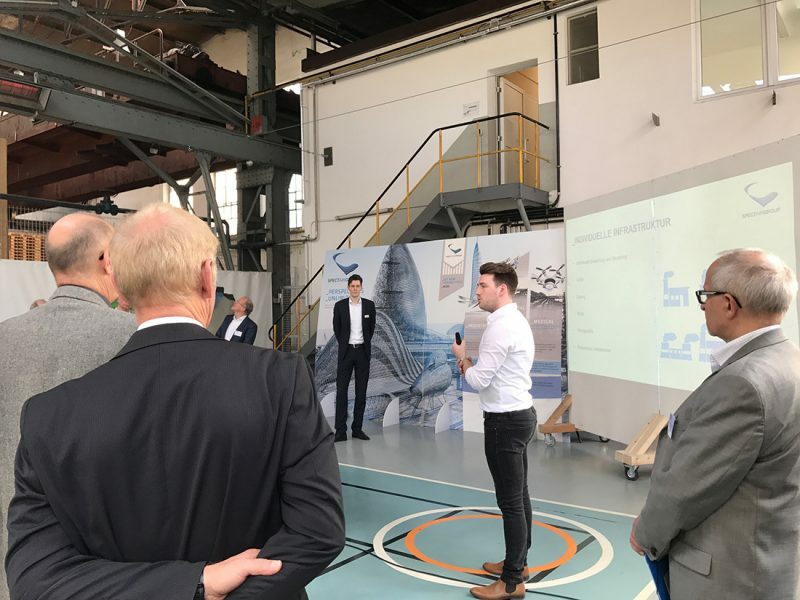 Remote-controlled drones, equipped with modern sensor systems, already provide informative data for the maintenance and servicing of industrial plants. 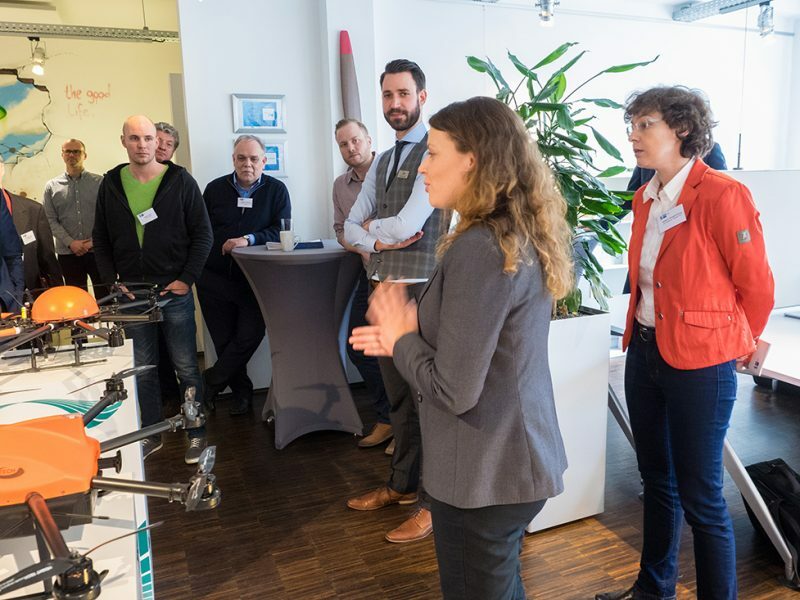 Connecting these data with other data points will be one of the basic prerequisites for exploiting the potential of drones in Industry 4.0. 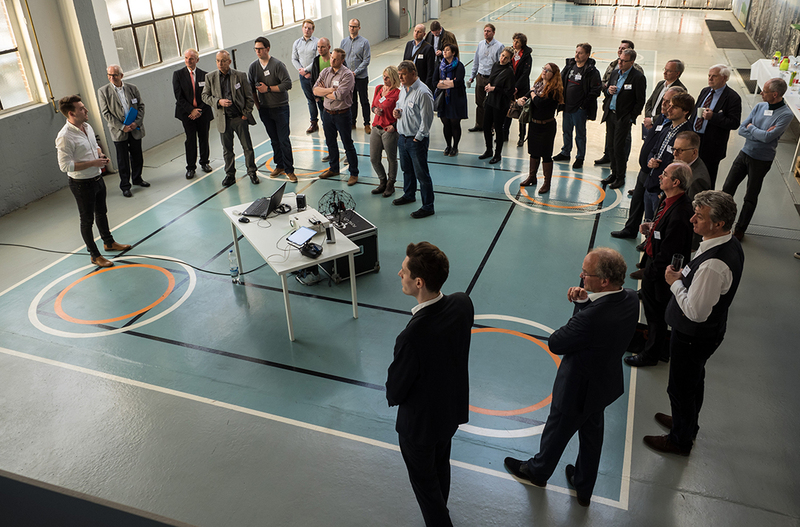 Based on several practical examples, employees from the fields of project management and business development presented different types of inspection of industrial plants with drones. 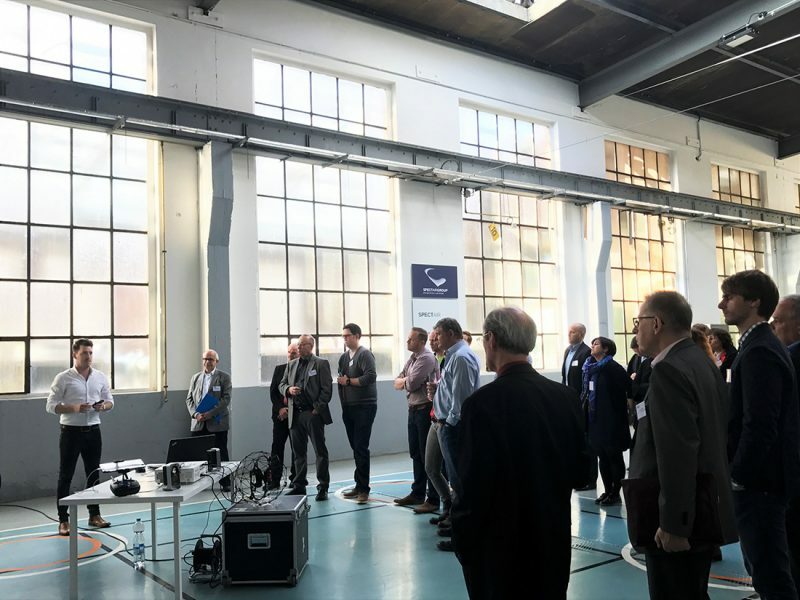 Examples of application areas included the interior inspection of a tank, the investigation of a chimney of more than 40 m in an industrial plant and the assessment of the roof construction of a production hall. 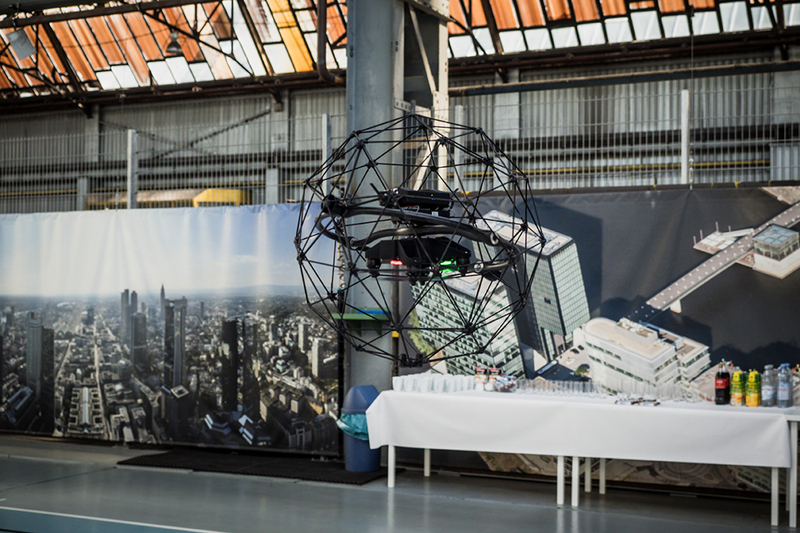 For all cases of use, the collision-tolerant Elios drone was used for the data collection, which is particularly suitable for the inspection of inaccessible indoor spaces and was subsequently presented in a short flight demonstration.